Half of the IDF's young combat officers are religious Jews, according to statistics published as the lead story Sunday in Maariv, Israel's second largest daily newspaper. The report also says that about 40% of the cadets of the most recent Officer Course in Bahad-1, the IDF's officer training school, were religious; this number refers to all officers, as opposed to just combat officers. "This says something very good about the sons of the religious Zionist movement," opines the writer of the piece, senior correspondent Ben Caspit. "They are becoming the IDF's backbone. Their presence in the army is several times larger than it is in the general population." "Any way we look at it," he says, "it's about education." It is clear, Caspit states, that "the religious Zionist movement's educational institutions continue to disseminate values, Zionism, Judaism and mission orientation. The religious youth is mission-oriented. [It sets out to] conquer the hilltops, and then to conquer the military service and the officership." 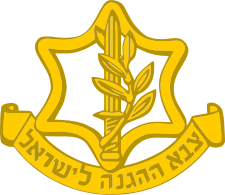 The entry of the religious Zionists into the officer corps began after the Yom Kippur War, says Caspit, when Major-Generals Yair Naveh and Elazar Stern entered service, and "continues with the pre-military academies, which send a sizeable percentage of their graduates to the Officers' Course." The "Hesder" yeshivas, he says the seminaries that combine religious study with a shortened army service do not contribute many officers. "They do everything willingly, with their entire soul," Caspit says of the religious Zionist soldiers. Alongside them one finds, he claims, many youths from the socialist-agricultural moshav and kibbutz movements, as well as soldiers from new-immigrant and lower-income families who see the military as a chance for upward social mobility. However, what Caspit refers to as "the First Israel" - the middle and upper classes - is no longer very visible among the officers. More and more of its sons either actively evade service, or opt for what he calls "a gray evasion" the employment of various tricks to serve less time, serve closer to home, and without endangering themselves. "They find all the ways in the world to fool the system, to see the IDF as some foreign element which is meant to curtail their personal advancement, independent thought, private ambition and other legitimate aspirations of 21st century man." Caspit sees this trend as a worrying one and calls for urgent action to raise the motivation of non-religious Israelis to serve and excel. He does not specify what this action might be. Religious Zionists have often noted, in the course of political debates, that their youth plays a disproportionate role in the IDF, but secular Israelis have usually denied this. The article by Caspit, one of Israel's top journalists and the author of several books, including biographies of Binyamin Netanyahu and Ehud Barak, can be seen as an admission by a secular Israeli that the religious Zionists have been right on this subject. The statistics are important for Israeli society because the IDF is seen as the nation's backbone and its pride. Since the State of Israel was founded it has had five native-born Prime Ministers, four of whom were from the military: Yitzchak Rabin, Netanyahu, Barak and Ariel Sharon. Rabin and Barak both served as IDF Chiefs of Staff, Sharon was a Major-General and Netanyahu was an officer in an elite unit that was commanded by his brother, Yoni, who was himself a military hero killed in the rescue of passengers from a hijacked Air France jet in Uganda in 1976. Thus, traditionally, service as combat officers goes hand in hand with leadership potential. Another reason these statistics are significant is that many religious soldiers have been refusing orders to evict Jews from their homes in Judea, Samaria and Gaza. If half of the IDF's new officers are religious, this means that the refusal movement could indeed have a deep deterrent impact on the IDF and government when and if it decides to attempt additional pullouts from territory. This article underscores our comment last week that the Zionist movement is growing more dangerous because its strongest defenders are increasingly observant Jews. The final internal battle over Zionism will not be a religious-secular battle, but a battle between faithful Torah Jews and Jews who pervert the Torah to support the Zionist ideology. Secular Jews, who do not believe in the Torah in any case, will have no place in this battle on either side. The positive side to all this is that the battle can be won. When we fight secular Jews, as long as they maintain their denial of G-d and His Torah, there is almost no common ground for argument. But if Zionism becomes predominantly a religious movement, it will only be a matter of educating Jews so that they realize that the Torah they already believe in opposes Zionism.